Jennifer graduated from our Basic Makeup Certification Course and is currently enrolled in our Advance course starting in October! We caught up with her to see what she has been up to since graduating. What have you been doing makeupwise since gradating from KMA? - Since graduation, I've been doing styled shoots, and as many bookings as possible. I was even able to do the makeup for my own wedding which included 7 makeup applications. 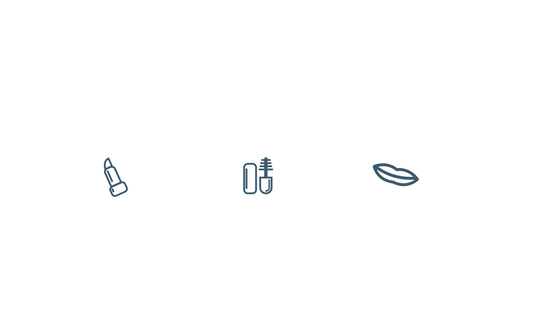 I also just launched my LLC for Jen Pitt Beauty which was super exciting. 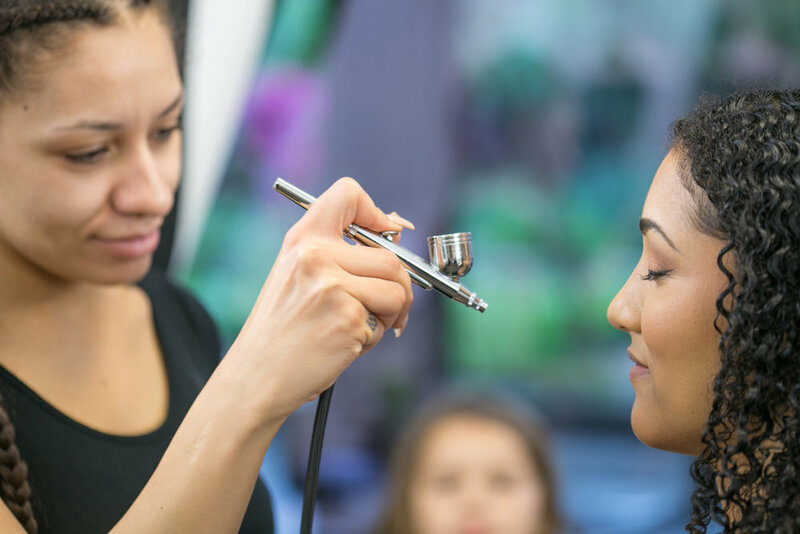 Have you taken any other makeup courses since graduating? 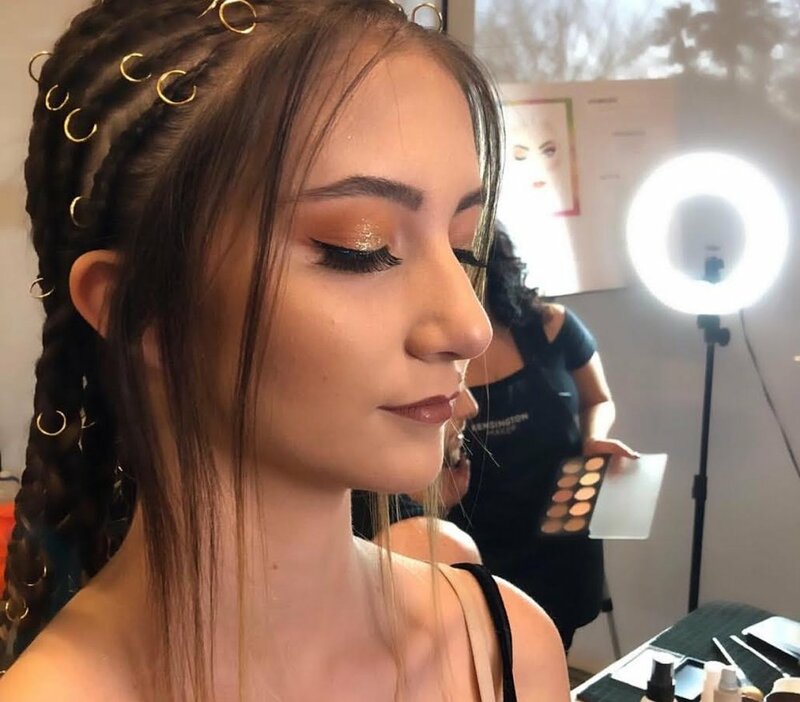 I was able to attend the Muse beauty event, and I've enrolled in Kensington's Advanced Makeup course starting this fall. What do you love about makeup? I love that makeup allows me to express and challenge myself, because with makeup there is literally endless possibilities and no two makeup applications will be the same. I like learning new techniques and adding more colors to my kit so that I can explore more fun looks. What would you say was the most memorable part of attending KMA? Making new friendships and watching everyone grow as artists together. It's really fun to learn techniques from our peers. What’s next for you? I will be a makeup artist for Phoenix Fashion Week again with KM, Advanced Makeup with Holli at KM, and hopefully joining the KM agency. Net year I plan on adding bridal hair and updos to the Jen Pitt Beauty menu. I LOVE graduation day! It's a day where we can celebrate our students who worked super hard and completed 60 hrs of intense makeup curriculum and indulge in Sprinkles cupcakes, cookies, and just too much sugar in general. <3 A lot of this group will be returning for lab to earn an additional 60 hrs, but we will miss the ones who aren't. We also really love to see everyone in their pink caps and gowns as they come up one at a time to accept their certificates. Thank you so much to Red Apron Bakeshop for making these adorable cookies, that were too cute to eat! We hope to see most of our graduates in our Special FX course starting in August and our Advanced Makeup Certification taught by Holli in October! I've always believed "in order to receive, you must give." So Kensington is always looking for ways to give back and improve our Arizona community! As a professional it's important to participate in charity events! If you are a makeup artist you are running a business. Wether you are an individual freelancer MUA or a multi million dollar business, giving back is a BUSINESS YES. WHY? Provides a positive image for your biz- Giving makes everyone feel good, the giver and receiver. It also shows the people around you that your care about others. It's inspiring and puts a good image on your brand. Exposes you to future clients- Every person you meet is a potential client! Events like these exposes you and your brand to a lot of different people. Look at these events as a networking/ connecting options and don't forget to bring business cards! You never know who's daughter's friends niece may be getting married and need an MUA. Bettering the community- Volunteering or giving to local charities is bettering YOUR community. This is the world you live/work in so it's a small gesture that makes a BIG impact. Kensington was able to give back to the community this month by volunteering at an event for the Child Crisis Center. Find out more about the Child Crisis Center Arizona HERE! 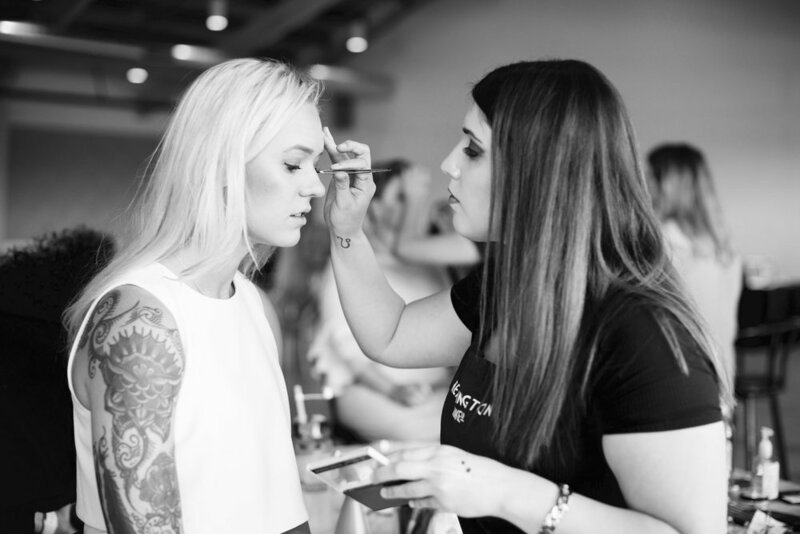 Our Kensington Makeup Academy graduates provided makeup touch ups with a lip and lash bar. It was a great experience and we look forward to participating in a lot more charity events in the future. The Charity event was held at the beautiful Clayton House located in Scottsdale, Arizona. Our lovely graduates, Gabi, Jennifer, Amy, Kelsey, Taylor, Kaley, Morgan all participated in the makeup touch ups that were offered to the guests. We are so thankful to have such amazing members of our Kensington family! COMMENT BELOW & TELL US HOW YOU GIVE BACK TO YOUR COMMUNITY! 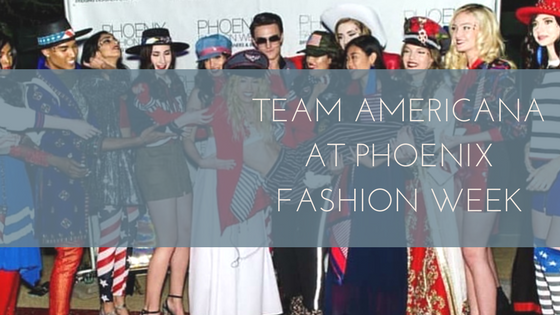 Team Americana killed it during Phoenix Fashion Week. I legitimitely felt more patriotic watching these gorgeous models walk down the runway. The makeup was of course FLAWLESS & I definitely would like to wear a couple of these outfits to my 4th of July BBQ's. The lead MUA was Gabi and she did an amazing job handling all the artists in her group. The models makeup was total Red, White, & Blue with stars on their cheekbones with their glitter highlight. The models wore a bold red lip to finish off the look. Here are some details about the designer Ashley Paige and her vision for Americana. Check out what our graduate Gabi thought about the experience below. I enjoyed being a lead MUA for fashion week! I liked being able to manage and lead a team to execute the look wanted. The look of Americana was actually pretty simple. Neutral toned cut crease, winged liner with silver glitter above, bold highlight with glitter around the temple/cheekbone area, and complete with a metallic red lip and red white and blue stars on top of the glitter. I always knew I had a knack for management of others and working well in a team but I never thought I’d be a good “teacher”/leader when it came to makeup. My biggest takeaway was the fact that I CAN lead/guide other MUAs better than I thought. Especially in a fast paced setting where we are on a time crunch I was happy I was able to help everyone on my team and execute the look. I’m glad I was also able to show you guys my potential. At the end of the day my stylist was happy with the turnout so I was happy! You finally got certified as a makeup artist! Now what? The first thing you can do is apply for some AMAZING pro cards. What is a pro card you might ask? 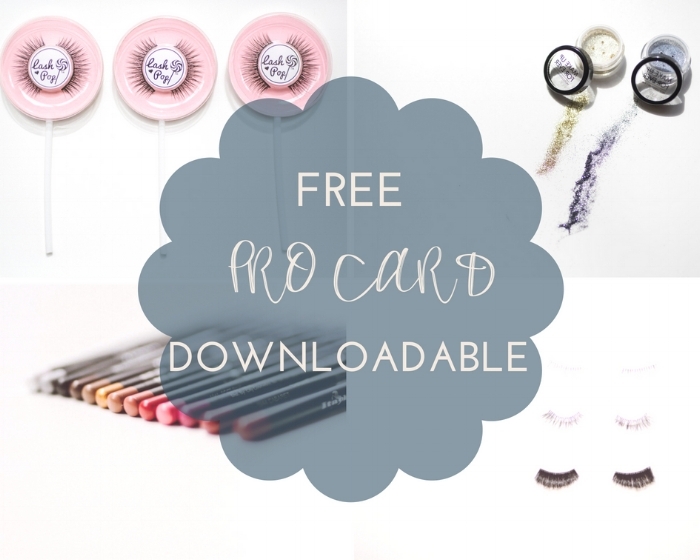 It is a card you apply for from all your favorite makeup brands, that allows you to get dramatic discounts that the usual consumer can’t receive. How awesome is that? Here are our top 2 cards that you need to get straight from school! 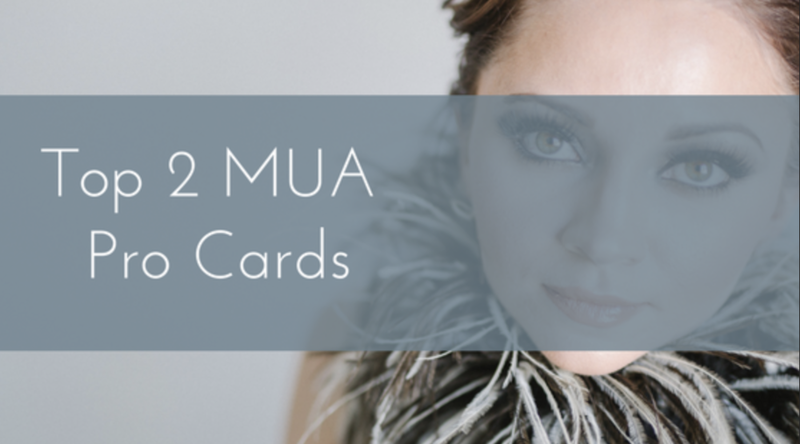 These 2 cards are the best because they have TONS of different brands and every product you need to get started making that $$. Naimies- based out of California Naimies is the holy grail of everything beauty. They have brands ranging from Anastasia Beverly Hills all the way to ZUCA Bags. Why is Naimies so great? They have a ton of different brands that you can get discounts on that you may not be able to get because of the requirements. Not only do they have makeup, they have tools as well! What is the discount? The Naimies discount is 40% off! How amazing is that!!! To apply you have to visit HERE and fill out an application. So get on the computer right now and sign up! Starting out with airbrush can seem very overwhelming at first. There are so many airbrush systems, parts and products out there with pricey price tags... where do you make the investment so it counts the most? Let me tell you, that in the past ten years of being a makeup artist, I have owned just about every system, gun, and tried ever product on the market. I even have a box that I call the graveyard where about 15 airbrushes have gone to die, one day hoping to resurrected with replacement parts. 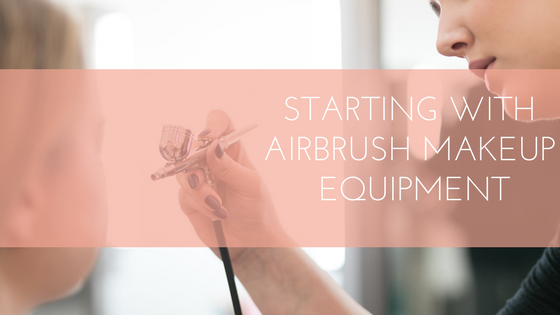 When it comes to investing in your airbrush arsenal, I'd much rather see you spending the money on high quality makeup products instead of the equipment. So let's start with the compressor. Systems range anywhere between $40 to $800! Check out my MUST HAVE AIRBRUSH SYSTEM HERE! - It's only $50! This is a great machine for beginners and for seasoned pros. The Master system's pressure is just right for pushing most airbrush products through without having to dilute them. It comes with a pressure adapter so you can adjust to a lighter psi for more detailed work. Because this system is so affordable, I'd recommend purchasing two because it is always a good idea to have a back up on hand, just in case while you are working on your bride it goes out, which has happened to me. While not my favorite, It does comes complete with an airbrush gun, which I will chat about next. Airbrush guns tend to be a bit more personal. If you want to start out using the gun provided in the Master system, there is nothing wrong with that, it does the job just fine. Personally I find the product well to be a bit large, and I tend to over pour my precious airbrush foundation. If you want to improve your user experience, I recommend the Iwatta Neo airbrush gun - YOU CAN FIND IT HERE! The Neo is a newer, little sister version gun in the iwatta family. Their most user friendly airbrush gun that rarely clogs, and comes with two different sized interchangeable product cups! I personally like to use the gun without either of the cups and pour directly into the the small well to work every last drop of airbrush foundation. This gun is also the most wallet friendly gun with a price tag of around $50, compared to the Iwatta Eclipse gun which runs upward of $150! When it comes to investing in airbrush, the product is where you should focus. You don't need to go crazy purchasing every shade available in full sizes, in fact a handful of airbrush makeup lines carry mini versions of their products for you to try before you dive right in. I suggest starting with a mini pre pack of their entire color line or most popular colors. Not on is this a great space saver, but it also gives you an opportunity to see which products your run through the fastest, and then you can purchase the full size in the shades you use most to either refill or replace your mini. I love the Temptu Hydralock foundation best seller kits. YOU CAN FIND IT HERE! It comes with eight foundation shades, two blushes, and two highlighters for $110. It gives you a good range of foundation colors along with some blush/highlighters to play with! This second skin, long wearing airbrush makeup is one of their newer formulations that applies and runs through your gun like a water base (w/b) foundation, that wears like a silicone base (s/b). For a while, I was hesitant to use Temptu's foundation because their foundation color selections were leaning heavily on the ruddy side. However, after a lot of feed back from industry professionals, they recently reformulated their colors to cater to a more olive based shades. Rejoice! Are you a pro? Sign up for their pro card and get a 30% discount on all Temptu products! SIGN UP HERE. Submit your website with portfolio and your 60 hour Academy certificate with your online application. Temptu is one of the fastest processing pro cards to get! Founder of Kensington Makeup and Co-Owner of Kensington Makeup Academy. Celebrity makeup artist with over ten years of experience. Master makeup instructor and business beauty coach. 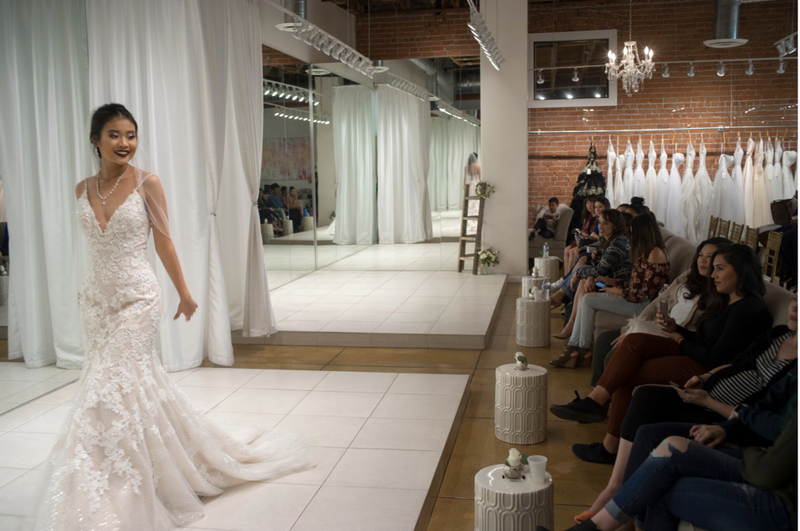 The bridal industry is huge here in Arizona and what a better way to get our students involved in the industry, but to participate in a bridal beauty fashion show showcasing their work to potential brides! Bridal fashion and beauty collided on the runway to present brides with the latest trends to complete their wedding day look. 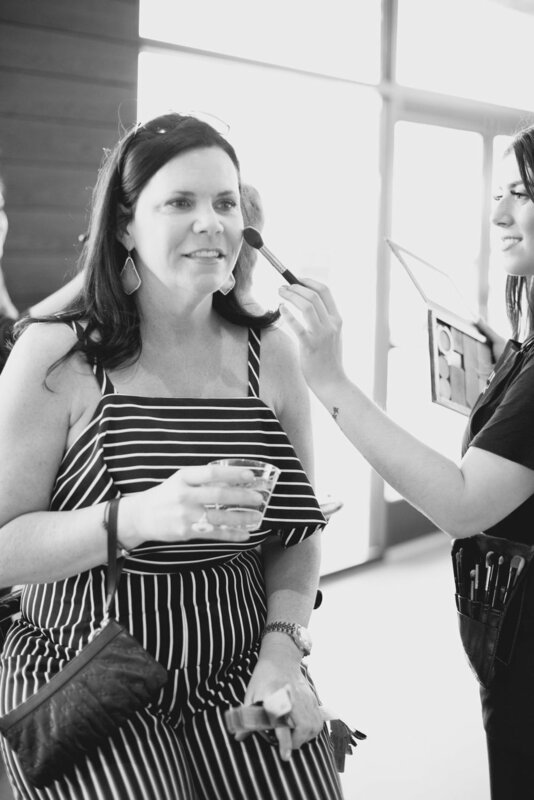 The event focused on creating an educational and interactive event night for brides, where bridal vendors had the opportunities present their work and provide industry insight for creating the perfect bridal beauty look. They took into consideration the dress, accessories and their model's personal style to carefully curate a look that brought balance to a unique ensemble on the runway.